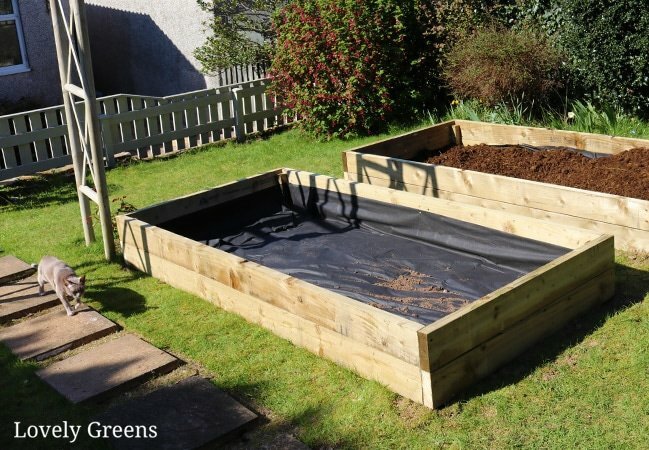 There are many ways to grow your own vegetables but if you have enough space, outdoor beds are best. If your soil is good or you don’t have trees in the vicinity, then starting a veggie patch can be easy. There are various ways to go about it. However, if you have no or poor quality soil, have trouble bending down, or live in colder climates then raised beds are the way to go. 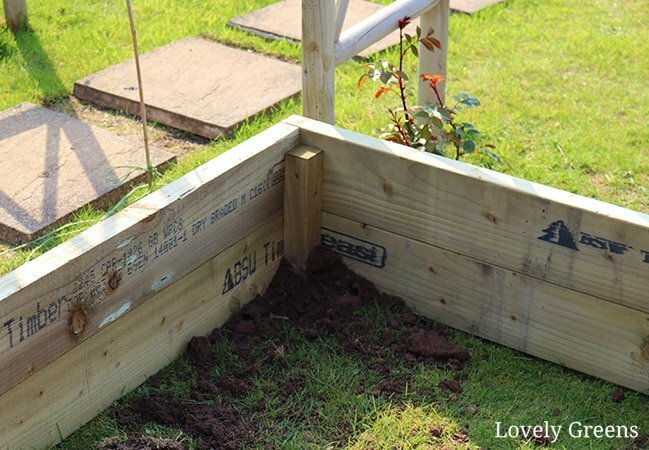 There are other challenges that make raised beds a good option too. I and my boyfriend recently built four wooden raised beds in the back garden. 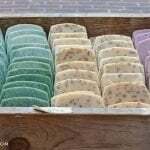 I thought about them for months before committing to the idea and purchasing materials. In this piece I’ll share how and why we built them and other information you may need to create your own. 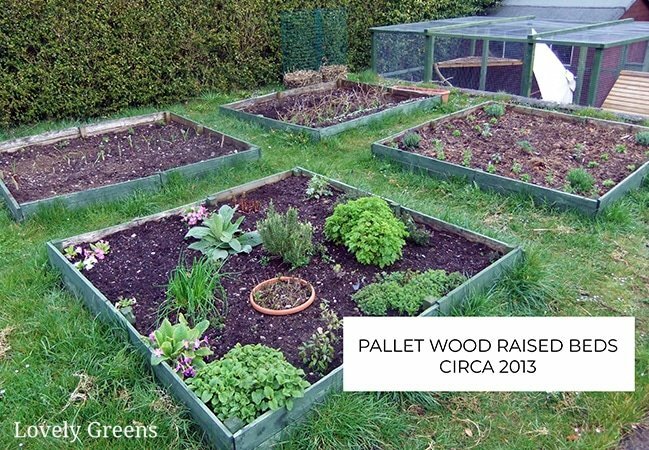 Most of the positives of growing in raised beds come down to their being elevated. Giving the soil a bit of height can help improve drainage, and can also thaw out a bit quicker in spring. Very handy if you live in a colder region. The height of raised beds is anywhere from six inches to waist-high. You can have whatever height you’d like since it’s only dependent on your needs. If you’re in a wheelchair or have mobility issues then a taller structure will help you to reach into beds. If you have poor soil, then you’ll want your beds deep enough to accommodate the longest roots. This can be up to two feet. Another positive thing about raised beds is that they help stop erosion. 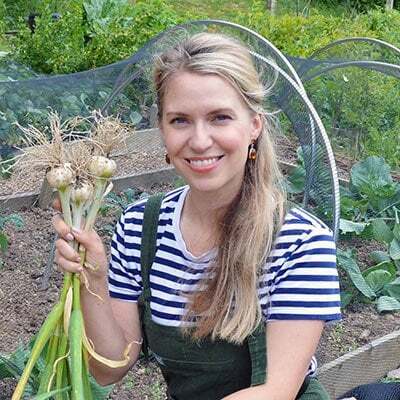 My home garden is on a slight slope and I know from experience (see my allotment garden) that mulch and soil will erode downhill over time. Boxed sides will help keep it in. 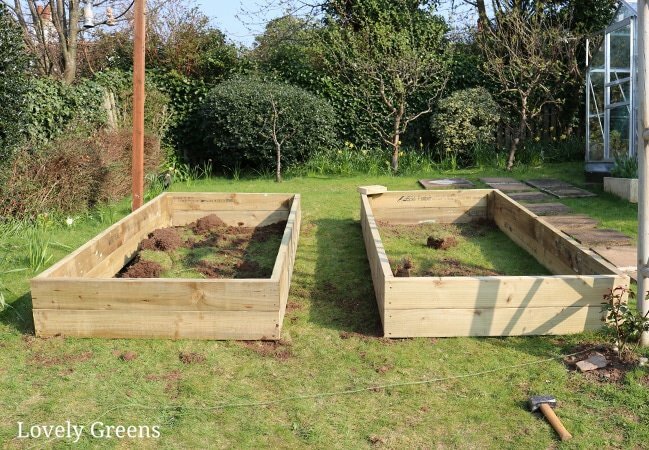 If you wanted to go the full gamut, you could even terrace your raised beds so that they were completely level. My beds are lined with landscaping fabric to help stop tree roots from growing inside. In my case, I’ve designed beds that are about a foot high. 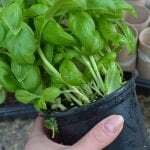 I’m planning on using them to mainly grow herbs and shallow-rooted leafy greens. I’ve also lined their bottoms and sides with landscaping fabric to help stop roots from a nearby hedge and trees getting in. Those roots were one of the main reasons that I chose raised beds. Tree roots tend to hang out in the top 18″ of soil so the raised beds should be free of root-invasion. If you’re planning on building raised garden beds, try to situate yours a decent distance from trees. Everything from shrubs to giant redwoods will creep their way near those fertile boxes of nutrients. As said previously, I’ve lined my beds in landscaping fabric. It should keep the bulk of the roots out for a good long while. It’s also water permeable so will ensure my beds don’t get waterlogged. For that reason, it’s probably not the best idea to line raised beds in plastic sheeting. Measure the placement of beds carefully. We’ve left a 20″ walkway between the beds for walking and mowing. You create raised beds by building a large container and filling it with soil, compost, and aerating materials. You can use anything from wood planks, to logs, metal panels, to purpose-made plastic, and other materials. The most common type is made with wood and that’s what I chose for mine too. 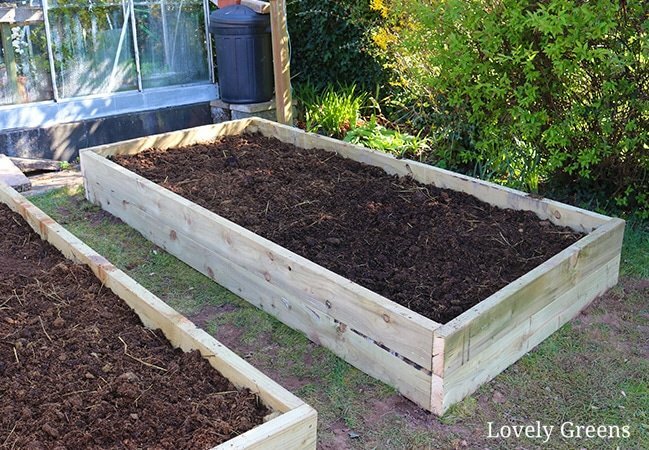 The best width for a raised bed is four feet (1.2m). Beds this wide are easy to reach into from all sides which is what you want. The best length is debatable. I think that if you’re tempted to hop over your beds regularly then they’re too long. Eight feet (2.4m) is standard but 12′ (3.7m) is common too. These measurements are based on the beds being rectangular but you can build your beds whatever shape you choose. Use a grid layout for rectangular beds. This makes access easier. Once you know the size of beds you’d like and the layout, you’ll be able to work out your materials. In my case I bought 16′ planks (4.8m) that we cut down into 8′ (2.4m) and 4′ (1.2m) lengths. The planks are 1.85″ (4.7cm) thick and 6″ (15cm) wide. For the corner posts I chose 2×2″ (5x5cm) stakes that are 2′ (61cm) long. My posts are long because my beds are on a slope and I don’t want them to move at all. If you’re on a flat surface, you don’t need to drive the stakes in if you don’t wish. That means they can be as short as the height of your finished beds. 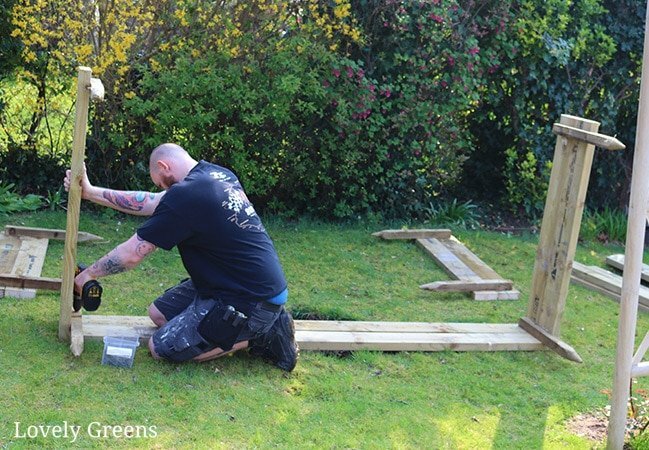 To make wooden raised beds you’ll also need long stainless steel screws meant for outdoor use. They’re usually called exterior or decking screws. 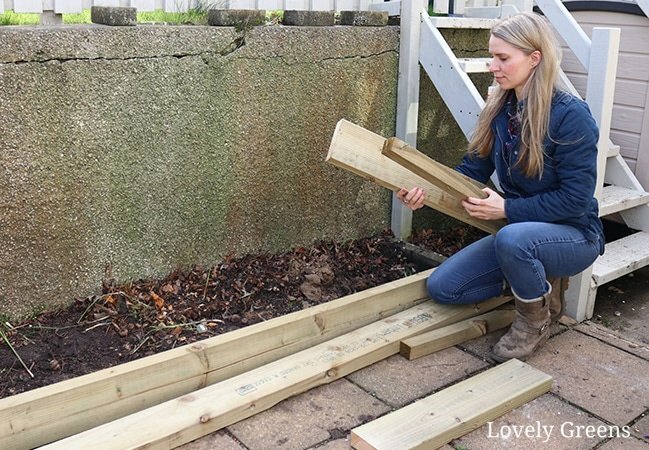 There are various materials you can use to build the sides of your raised beds. I’ve seen bricks, cinder blocks, corrugated roofing sheets, tires, and even wood-effect plastic. 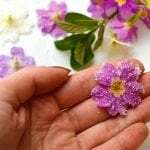 Some of these are expensive and some may leak toxins into the soil. That’s one of the reasons I chose wood for my own beds. That, and I like how they look. When looking at wood you could use whole logs, or more commonly, planks. Planks over an inch (3cm) in thickness will last longer. The best wood for raised beds is hard-wood and the best of the best is cedar. It’s naturally rot resistant, doesn’t require chemical treatments, looks great, and will last for 10-20 years. It’s also expensive so could be cost prohibitive. In my case it’s not even available. I live on a small island in Britain and my choices are limited. The next best wood for raised beds is soft-wood like pine and spruce. It’s a cheaper option but beds made of soft-wood only last 7-10 years. It’s also a lot more susceptible to fungi and pests like termites which is why it’s usually always pressure treated. 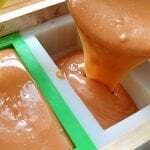 The wood I’ve used for my new raised beds is spruce and it’s pressure treated with Tanalith E. It’s a compound made up of copper and organic biocides that slow the wood’s natural rotting process and defend it from fungus and insects. 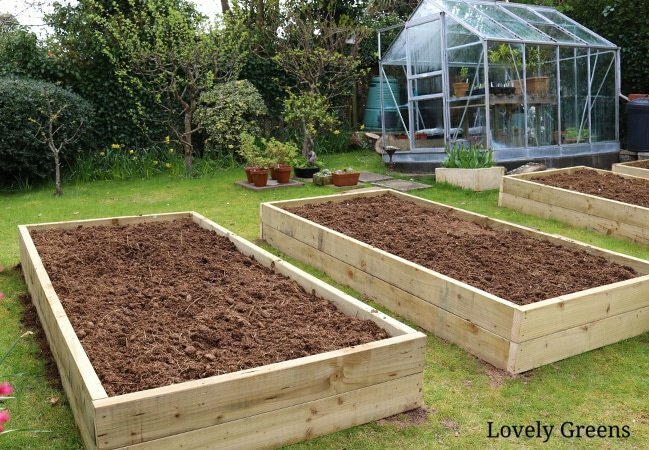 If it’s been pressure treated onto the wood, it’s also accepted by the organic organization, the Soil Association, for use in building organic vegetable beds. I spoke with the timber merchant and the saw mill that cut and treated the wood I purchased. It turns out that before 2006 in the UK and Europe, and 2003 in the USA, most wood was treated with an unsafe preservative. It included arsenic and high amounts of chromium that could leach into the soil. These days that’s no longer the case but older reclaimed wood could still have that preservative. Also, some commercial wood like that used for telephone poles is likely treated with toxic preservatives. 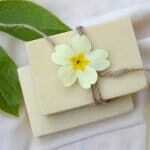 If you find soft-wood that has not been treated at all then you can use that too. 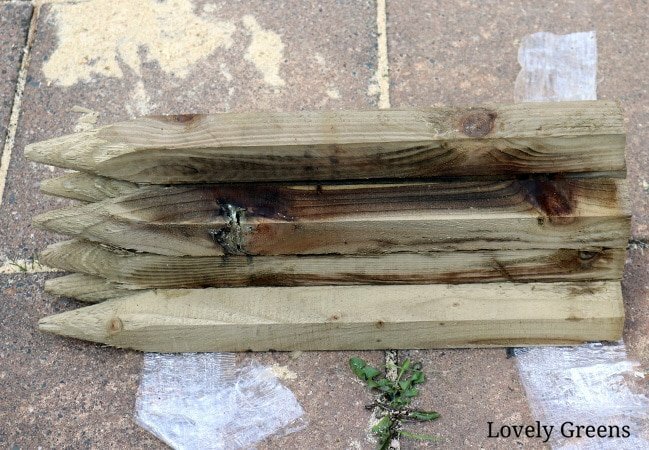 It’s lifespan can be very short though so accommodate a plant for replacing the planks every five years. I built my very first raised beds using wood reclaimed from pallets. It was a nightmare getting the planks off undamaged but we got there eventually. They worked a treat at first but after two years the wood already looked ready to be replaced. It was an inexpensive option though — practically free — so if your budget is limited, go for it. When using pallets please be aware that there’s a type you should avoid. On the side on any pallet is a stamp with various letters and symbols. It will always include either the initials ‘HT’ or ‘MB’. HT means the wood was heat treated to kill any pests and it also means that it’s safe to use. MB means that the wood has been treated with the pesticide Methyl bromide and is unsafe for your garden or home. Often times these initials appear alongside ‘DB’. That just means that the wood has been debarked. Each side of my raised beds includes two planks. They’re attached together and to the other planks with a stake set at each corner. This is how we built them and the video at the end of this piece will give you a better picture. Each bed will have eight planks and four stakes. There are two planks for each side with mine the shorter sides are 4′ and the longer ones are 8′. The stakes don’t need to be driven into the ground for flat surfaces. For slopes it’s a good idea to have them 8-12″ in the ground. To begin, place two shorter planks together on a flat surface. If they’re printed, set them so that the printing is facing you. Attach them to stakes set at the corners. A screw goes through the stake into each plank and it helps to drill a pilot hole first. This helps stop the wood from splitting. With my design, I also left space between the stake and the edge of the planks. This space is where the longer planks for the other sides would slot in. I also set the stakes slightly below the edge of the planks (about an inch) so they’re not as visible. Repeat this process for the shorter planks for the other side of the bed. Take these finished sides to near the area you’re building the beds. 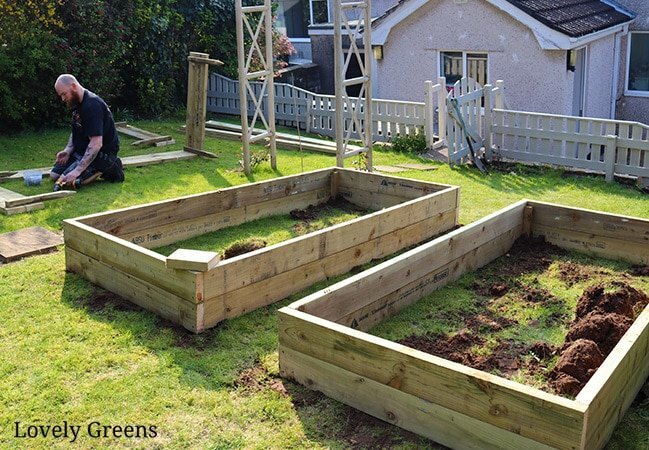 Once those two shorter sides are put together, you can finish building the beds in situ. Lay two of the longer planks on the ground, printed sides facing you. Set one of the shorter sides upright at a 90 degree angle to the long planks. Screw through the stake into the longer planks to attach. Repeat this step and attach the other short side to the other end of the long planks. With the help of a second person, lay the three-sided bed down flat. Attach the last two long planks to form the last side. Make sure the printed side will be on the inside of the bed once again. Measure where your beds are to be placed and mark the areas where the four corners will be. If you’re on a flat surface, flip the bed over and set it in its position. Skip the next step. Raised garden beds on slopes need a bit more stability. It’s to stop movement and give the bed a firmer standing. Driving the stakes into the ground helps the beds and wood to stay put and reduce splitting. Dig holes deep enough for each of the stakes at the four corners and then flip the bed over and put it in its final placement. Fill in the holes and stamp down. Screw each shorter plank into its adjoining longer plank with two screws. Drill pilot holes first. Fill the beds with your choice of top soil, compost, manure, and conditioning/aerating materials. Wait two weeks for the beds to settle before planting up. 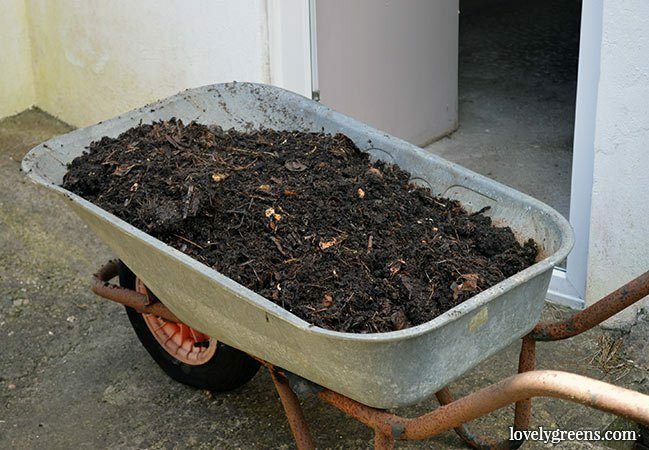 The manure I’ve filled my beds with is not suitable for planting directly into. A further layer of top soil and compost will go on top once this has all settled. 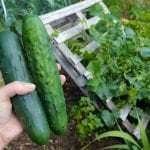 One of the most confusing parts of building raised garden beds is choosing what to fill them with. I’m personally against filling them with garden rubbish and sub-soil, even at the bottom. Even if it’s not seen, it’s still there and your veggies will be growing in it. First of all, if you’ve chosen not to line your beds, still put down a layer of cardboard or stacks of newspaper. This will suppress the grass and weeds below. 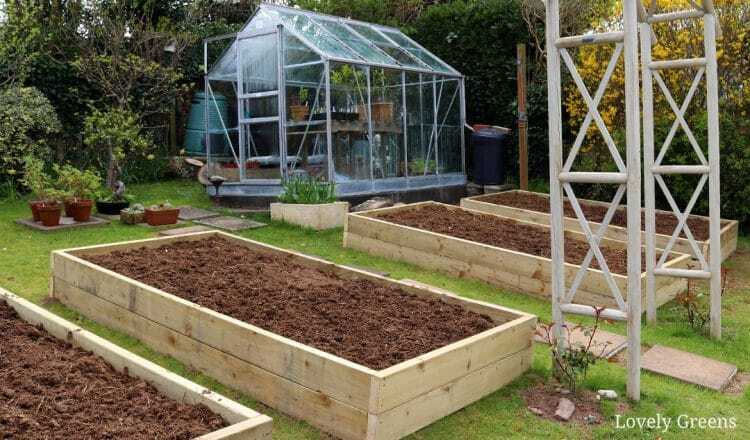 The general rule is to fill raised garden beds with 40% top soil mixed with 40% compost or well rotted manure, and 20% material that adds drainage and water retaining properties. You’ll see in the video that I’ve ignored that rule due to my fear of the New Zealand Flatworm being introduced via contaminated top-soil. I’m in a unique situation that shouldn’t affect too many other people. I’ve filled mine almost to the top with partially composted horse manure mixed with organic bedding. It’s still warm and free of both worms and the dreaded flatworm. When it settles and cools I’ll fill the top with six inches of sterile top soil mixed with horticultural grit, compost and well-rotted farm manure. Then I’ll go with planting and creating my backyard vegetable garden. Over time that manure will transform into black gold. If you’re using fresh or partially composted manure please be aware of two things. First, weed seeds will not be killed off in it. Secondly, you can’t plant directly into it. It’s high in ammonia and will burn plant roots. 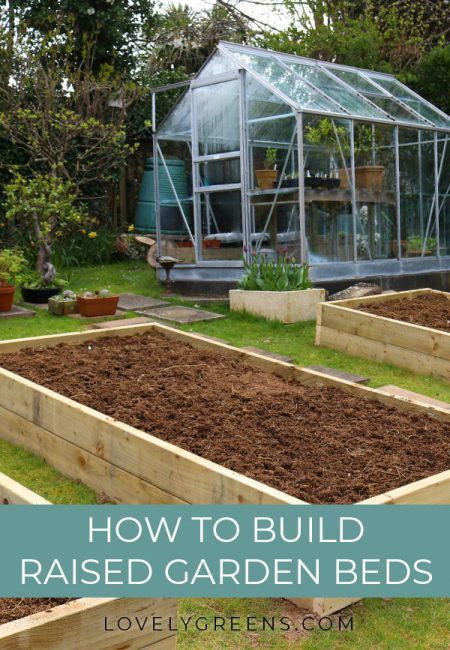 I go through the process of building raised garden beds and the challenges in the video just below. There’s clips of my boyfriend, Josh, building the beds and also my discussing the best wood for raised beds, and how mine are built. If you have any questions you can leave a comment on this piece or over on YouTube.